Gourmands of Penang classics, rejoice. The Pearl of Orient – Penang Fiesta buffet dinner, which made its debut last year at the award-winning 10 at Claymore at Pan Pacific Orchard, Singapore, will return for a three-month long promotion from 1 March to 31 May, 6pm to 10:30pm daily. This year, they also welcome Boston lobsters, fresh oysters from USA, France and Ireland, as well as Angus beef tenderloin. Diners can look forward to indulging in authentic dishes and desserts from Penang, specially created by a team of native chefs under the leadership of executive chef Andy Oh, himself a Penangite. Chef Andy takes pride in sourcing his ingredients directly from his hometown, and makes regular visits to local markets in Singapore to ensure that each dish is prepared with only the freshest and most premium of ingredients. In addition to classic George Town street food such as char kway teow with blue crab meat, prawn noodle served with king prawns, assam laksa with barramundi fillet, rojak, and the traditional chendol and ban chang kueh dessert (prepared à la minute at the live station), new dishes include the tangy and spicy assam curry fish and the popular bak kut teh, infused with the richness of special herbs such as dang gui, chuan kong, ginseng root and generously seasoned with ground Sarawak peppercorn. For the sweet toothed, the delicate kueh talam makes its first appearance on the dessert spread at this special event. A popular delicacy in Malaysia, this two-layer cake will be prepared locally by the hotel's talented pastry chef Eric Cheam using freshly extracted coconut milk, steamed rice flour and the pure juice of fragrant pandan leaves. 10 at Claymore also serves an international buffet at lunch with a limited selection of Penang signatures such Penang Char Kway Teow and Penang Prawn Noodle. The buffet lunch is available from 12pm to 2.30pm (Mon-Fri $42 per person; Sat-Sun $48 per person). Check out the video below as executive chef Andy dazzles us with his culinary skills. Now here’s the best part: for the entire month of March, epicure readers get a special 20 percent savings on the usual price of $68 per person for the Penang Fiesta dinner buffet. 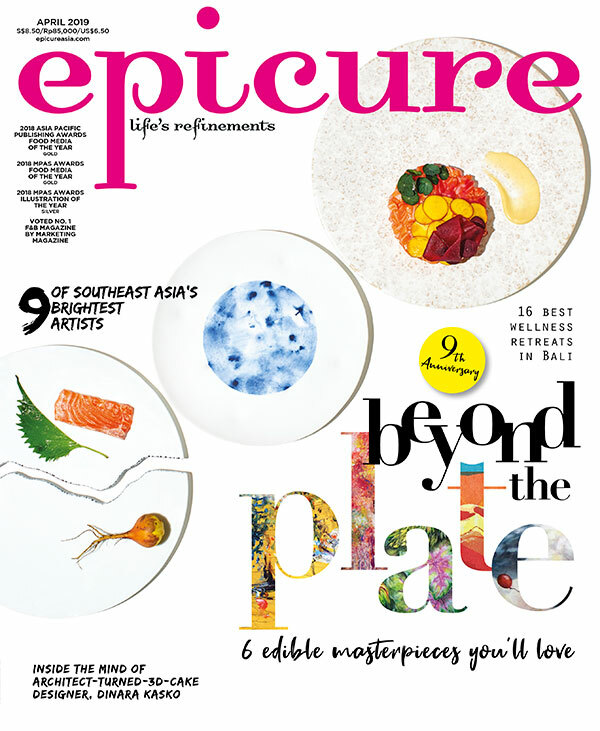 Quote: EPICURE 20% savings when booking. For dining enquiries and reservations, call 6831 6686. This offer is valid from 1 to 31 March 2017 only. This offer is valid for the Pearl of Orient Penang Fiesta dinner buffet only. Child prices are applicable for children aged five to 12 years old. Highlighted menu items are on rotation basis and subject to change. The hotel reserves the right to amend promotional details without prior notice. Not valid with any on-going credit card discounts and promotions. Not valid with any on-going discounts, offers and promotions. Not valid on eve of public holidays, public holidays and special occasions. Not valid on closed out or blackout dates.